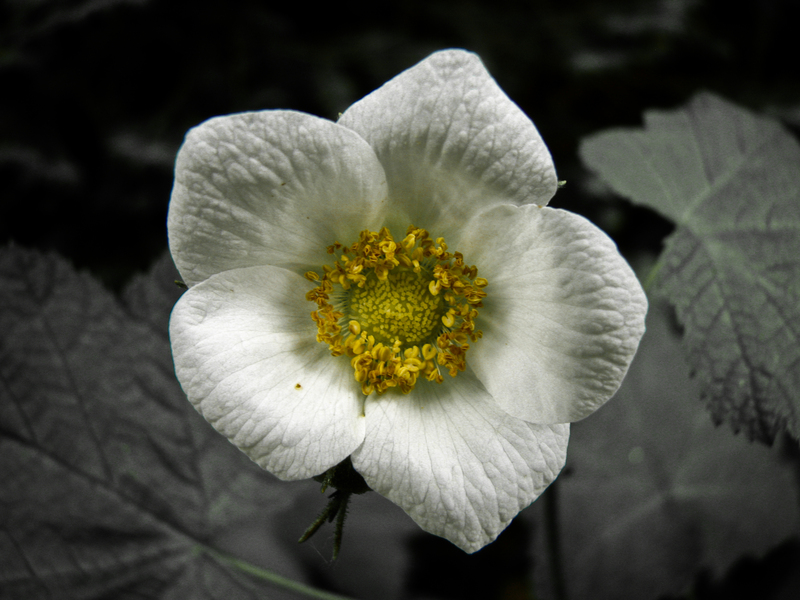 This is a thimbleberry blossom. I attended a car show with Mike and I ended up entranced by thimbleberries, indian paintbrush and dandelions. That deep inner voice was telling me to be selective. And I recalled how this week I will have ups and downs. Even my day planner forecasts this as my shifts vary from one day to the next. I do not have two days off in a row and I will be pressed to find the time to train for the next race and take care of my health. Selective. Look for small blessings. Look for lush renewal in tiny places in the in-between worlds. Like the blossoms of summer. Posted on June 19, 2011, in Abundance, Creative Every Day 2011, Creative Inspirations, Photography and tagged Abundance, deep self care, focus. Bookmark the permalink. Leave a comment.